A Contract for Difference (CFD) allows two parties to exchange the variation between an opening price and the closing price of a particular contract. This form of contract allows you to work on live price movements even if you do not own the facilities that potentiate your account. With a CFD, you can track the fluctuation in prices without having to worry about the trends in the underlying market. This allows you a great deal of flexibility in such a way you can benefit even if prices are falling. At the same time, you are able to adjust the parameters involved so that you can create a safety net against potential loss. The market for CFD’s is huge, with over 10,000 areas to explore. One of the more standout features of this kind of trading is the flexibilities it brings along: you can access your account at any time. This ensures that you can work around the clock, regardless of whether the underlying market is open or closed. The level of access is unrestricted and has no ties to location and this ensures that time zones will not be an issue if you trade on different geographical fronts. Since you do not own the instruments you work with, you do not have a legal obligation to pay for these kinds of requirements.You are therefore able to save 0.5% of the worth of each trade. However, it is important to keep in mind that the tax structure in the country is subject to change at any time. If you are trading in Irish stocks, you have to pay 1% as a duty, which reverts to you if you trade out within the following 30 days. If you make losses, you can use your position to offset your capital gains responsibilities. This increases the tax efficiency of your accounts. The CFD market is very diversified. The internet has enabled individuals to trade from many parts of the world. CFD accounts are structured in such a way that you can make a choice on the markets you want to get involved in at any time. Due to this diversity, the landscape has changed to allow for entry of parties from countries that were previously not part of the trading spectrum. However, you will need to have a keen look at what factors affect your presence in the market because there are specific spreads and margins for different environments. As a CFD trader, you enjoy a great deal of flexibility, which allows you financial leverage. Opening an account does not require you to make a full payment of the total value required. This mode of payment is known as margin. The markets in the UK have a different value setting for those of Wall Street. Generally, margins for major currencies do not fluctuate too much across trading environments. There are many ways in which a trader can use leverage, one being the diversification of your choices as well as the ability to reap more from your investments. Your trade exposure goes full and you can magnify your returns to a point far above the value of your initial deposit. However, you will need to understand that your losses will still rocket in situations where the market goes against you. There is a potential risk in this situation because the value of the loss you incur goes way beyond your initial investment. It is therefore always prudent for a trader to consult widely on the choice of activities. Some trading companies offer risk management services, allowing you to lessen the likelihood of losses or manage them when they happen. For most of us making our first ever forays into forex, one question looms large: what is CFD trading? Well, it is really an easy concept, because it is not very different from the other sets of forex setups whose emphasis is on the transfer of investments. Setting up this kind of account is not hard either, but since the diversity is too spread out, there is a need to consult widely, because these investments have a potential for loss, just as they do for profits. 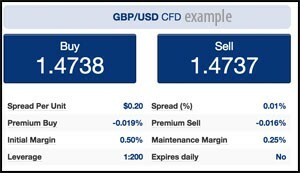 Plus500 offers a CFD service, trading CFDs is not suitable for every type of trader. Trading in CFDs is suitable for experienced traders, not for beginners. Trading in CFDs involve risks, your invested capital is at risk. Plus500 is a publicly traded company and is regulated by various government agencies in different countries. Plus500UK LTD is authorised and regulated by the Financial Conduct Authority. Plus500 CY LTD is authorised and regulated by the Cyprus Securities and Exchange Commission. Plus500 AU LTD is regulated by Australian Securities and investments Commission. News articles, recommendations and broker reviews contain general advice. Your personal circumstances have not been taken into account . You should therefore never just blindly follow those recommendations. CFDs, binary options, and currency trading on margin involves high risk, and is not suitable for all investors. Not every financial product is suitable for every type of trader. Before you act on the general advice FOREX.tips provides, please consider whether you fully understand the financial product, and the risks involved. Always check if the financial product is appropriate for your personal circumstances, your investment objectives, your level of experience, and your risk appetite. FOREX.tips will not be held liable for any loss or damage resulting from reliance on the information contained within this website including --but not limited to-- market news, analysis, trading signals and Forex broker reviews. The data contained on this website is not necessarily real-time nor accurate. Copyright © 2019 FOREX.tips. All Rights Reserved.